Baiona, the known municipality located in the southern part of the Metropolitan Area of ​​Vigo, is one of the most favored by the recent officialdom of the pilgrimage route known as the Camino Coast. Since this road was declared official, the increase in tourists and related to the same revenue, has been growing exponentially. 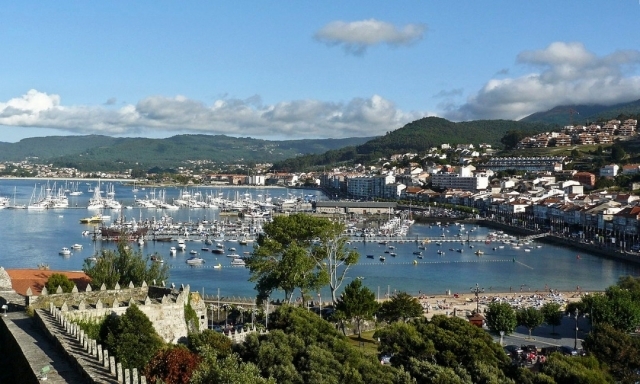 "Since May for the first time, all the hotel rooms of the villa every weekend without exception fill," says Pedro Villamarin, vice president of ACEBA association of merchants and entrepreneurs of Baiona.And, when a route receives official recognition, you can only expect prosperity and increased tourism in the municipalities through which passes. According to vice president of ACEBA, weekday hotel occupancy is a not inconsiderable figure of 40%, but on weekends the occupation is almost complete. Thus, no doubt point out that "The recognition of this route has been a before and after for the sector in Baiona". Many more foreign pilgrims those seen by the municipality, and also with a high purchasing power.In Baiona profit it has been higher than in other municipalities as Nigrán, it is in Baiona where pilgrims take the opportunity to rest, to go on your next route to Vigo and Redondela. At the moment this increase in tourists has not affected prices: the average is still about 80 euros per night, both Baiona and Nigrán. Esperemos que no aumente, pues supongo que tener un precio adecuado también favorecerá la visita de más peregrinos.